The Proper Task Of Life! Before we get going, I just wanted to say something serious, I belong to a Facebook crafting community and I have just learnt that one of its members was murdered, Nikki was young, beautiful and talented. As we face this day together, whatever today brings let us all be grateful that we are alive and able to contact friends and family. I intend to be truly grateful today that I am alive. The philosopher Friedrich Nietzsche once said ” art is the proper task of life”, it’s a shame he went on to say a lot of other not quite so nice things because that’s a great quote! So I have been pursuing the proper task of life like a demented person for the last 6 weeks to get ready for my first show. I will be exhibiting the following six pieces at the Lindfield Arts Festival , I thought you might like to see them nd get some of the story behind them. 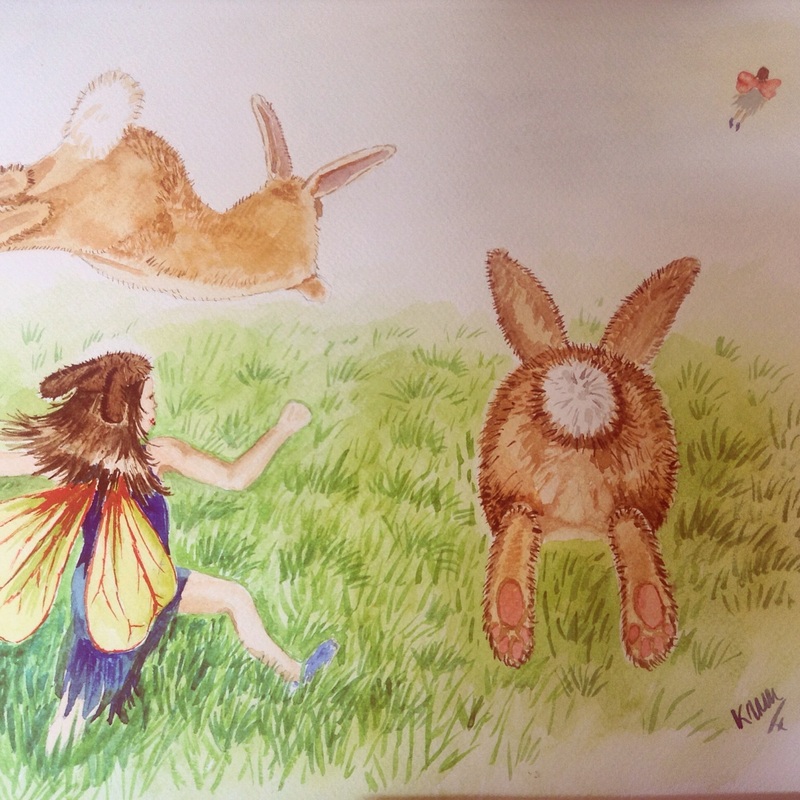 First up, Dora the dormouse fairy…. Our woods are home to dormice ( we even have dormice bridges! 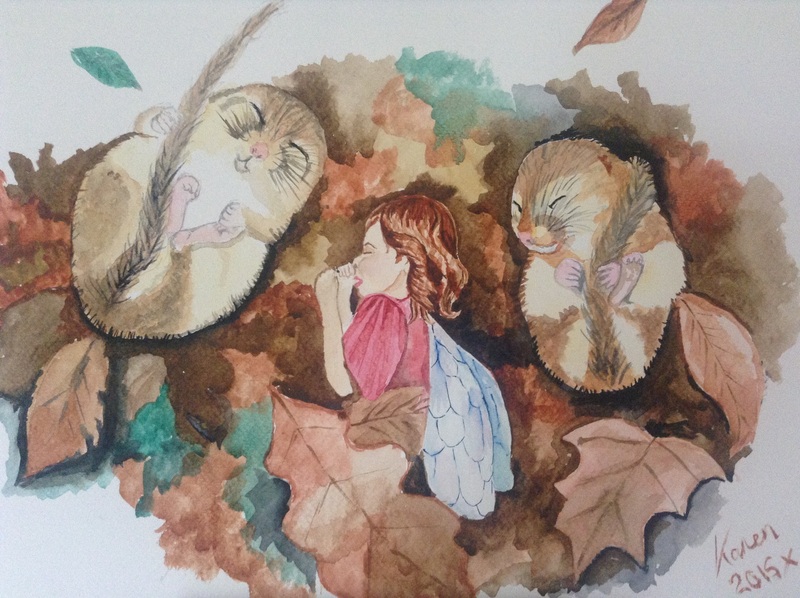 ), this picture was the beginning of my fairies of Ashenground Wood pictures, I loved the idea of the dormice being snuggled up and cheeky fairies sneaking in for cuddles. If you look really closely, you can see that Dora isn’t even asleep. 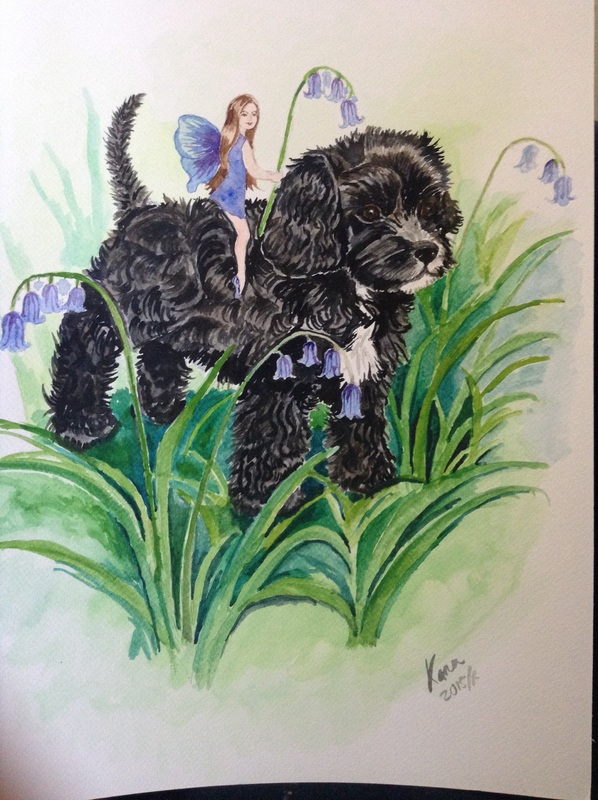 The next fairy was inspired by Darcey and her obsession with bluebells…. I loved the idea of her and Beau the bluebell fairy joining forces to protect the flowers. I think Darcey looks really on her guard and protective in this picture. Yes, you guessed it, she was chasing the rabbits across the field and I could almost see a fairy leaping along with them, is it just me that sees fairies? 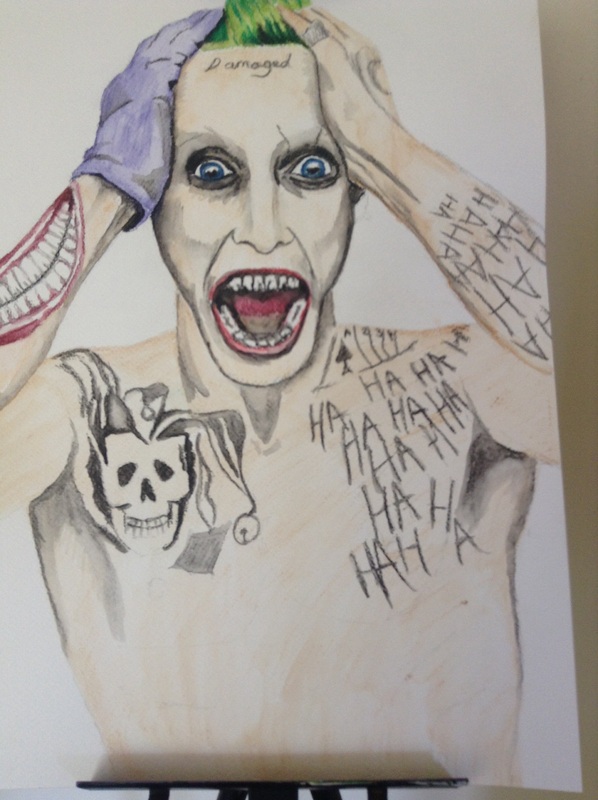 Before you ring the authorities, I changed direction and did a picture of The Joker…….. This character has undergone many incarnations but I really like this one, this Joker will appear in the new film Suicide Squad, scheduled for release next year. Years ago when I was horse mad, I was able to recite the names of the three horses that are the fathers of the modern day thoroughbred, this picture represents…….. The Godolphin Arabian, Arab horses are so elegant, so graceful they remind me of ballet dancers. Finally, it has to be Darcey……. 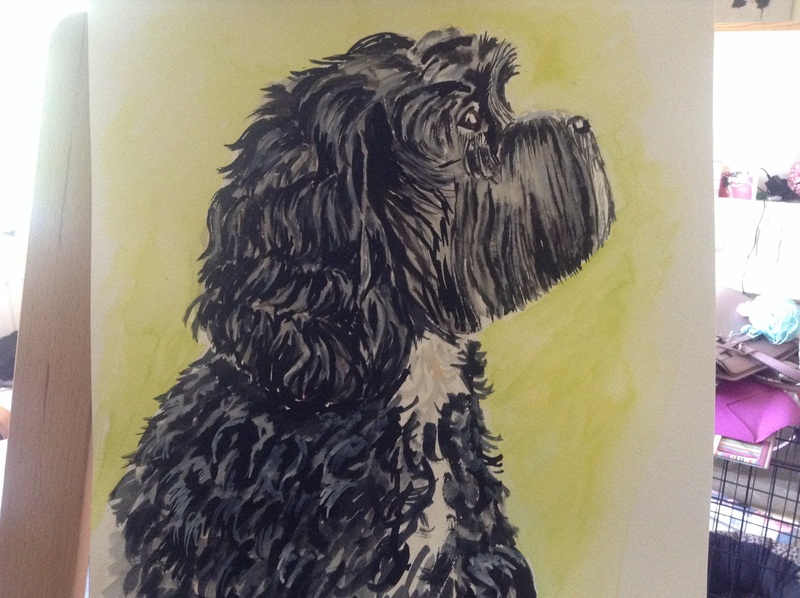 My clever, loving, brave, mad as a bag of badgers Cavapoo, it is she that has accompanied me on numerous walks in the woods, it is she that finds where the fairies live, it is she that snores while I paint, because I only work While Darcey Sleeps! Next week sees a return to normal service and the promised tutorial, get yourself to the charity shop and buy a short sparkly mini if you can, all will become clear…. 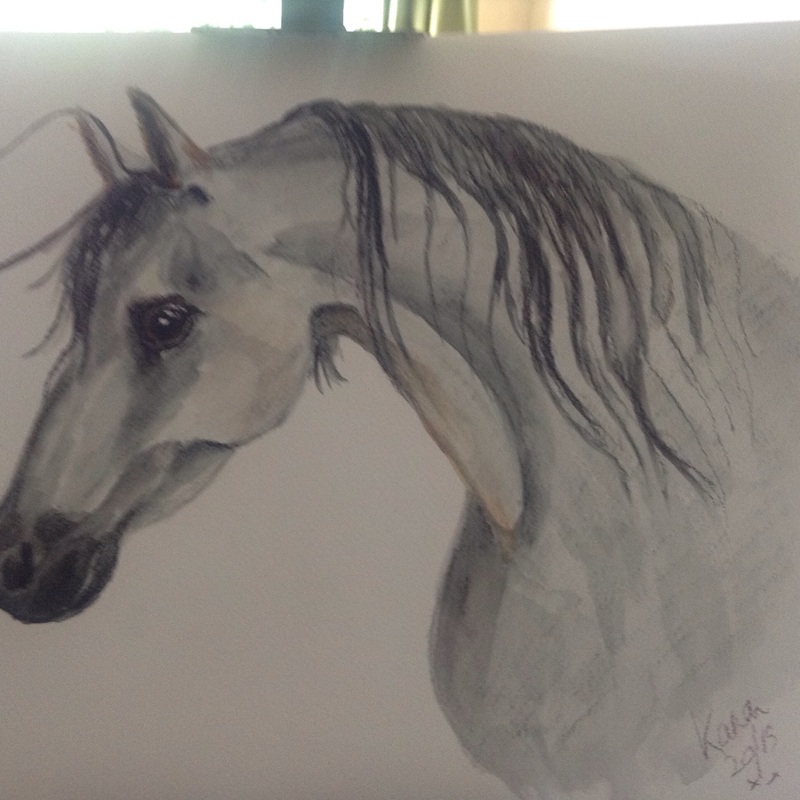 This entry was posted in art and tagged arab, art, bluebells, cavapoo, dormice, fairies, grateful, horse, lindfield arts festival, Murder, rabbits, suicide squad, thankfull, the joker, watercolour by karenlorenz. Bookmark the permalink.